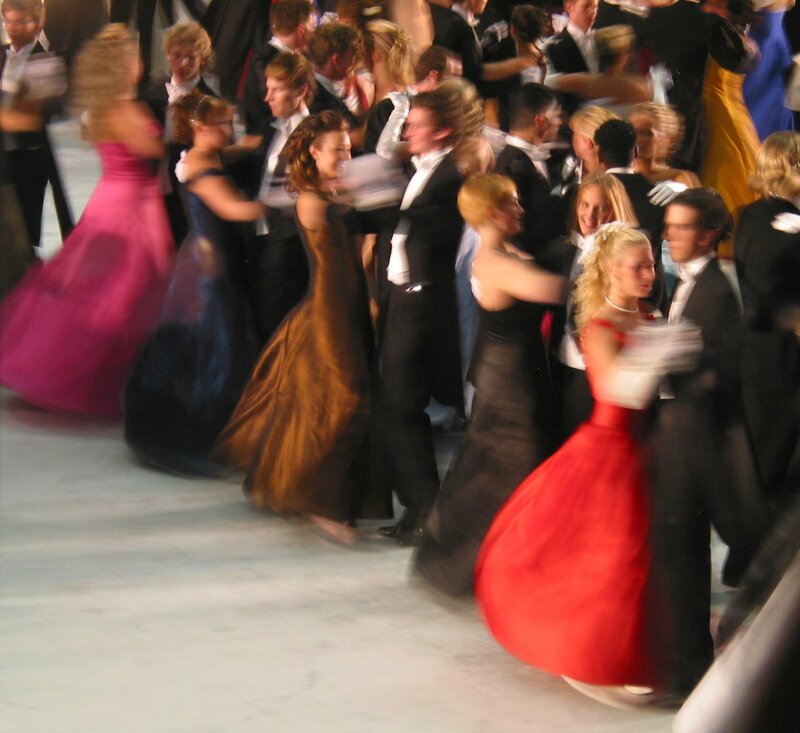 The international and emerging markets are like maturing teenagers attending a prom. If the U.S. represents the incumbent Seniors, then the international regions, like Europe and China, are the underclassmen now overwhelming the dance party. In 2009 for example, China has accounted for approximately 40% of all IPOs (Initial Public Offerings), according to The Financial Times. Why is the U.S. losing listing market share? David Weild, a former Nasdaq Vice Chairman, believes the advent of online brokerage firms in the mid-1990s shoulders a lot of the blame. 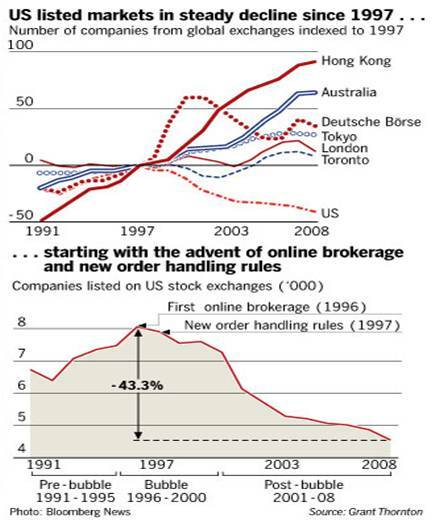 The new order handling rules established in 1997 made the profitability of supporting small-cap stocks less profitable for the traditional brokerage firms. Source: Charts from The Financial Times show steady U.S. listings decline. The reasons for the rule changes were designed to drive lower costs and improved transparency. These goals have largely been achieved, but due to globalization and the heightened liquidity in international and emerging markets, alternative exchanges have been gaining share. Although profitability in supporting small-cap stocks has dropped, the evolution of high frequency trading (HFT) has stirred up the pot of controversy (read HFT article here). Exchanges, in an attempt to offset lost listings profits, are building new streams of revenues targetting these rapid pace computer traders. As globalization spreads, thanks in part to the spread of technology advances, foreigners are joining what Thomas Friedman calls a new “flat” world, and the underclassmen are coming to the party with their dancing shoes. DISCLOSURE: No information accessed through the Investing Caffeine (IC) website constitutes investment, financial, legal, tax or other advice nor is to be relied on in making an investment or other decision. Please read disclosure language on IC “Contact” page. Entry filed under: International, Trading. 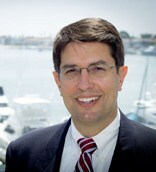 Tags: china, David Weild, Europe, exchanges, Grant Thorton, HFT, High frequency trading, listings, The Financial Times, U.S..